Earlier this week, we gave you new books series and in-process series we’re excited about in 2016. In the final installment of 2016 At-A-Glance, we’re focusing on stand alone books to be released in 2016. These book represent works by some of our favorite authors and the most intriguing-sounding works by new authors we’ve seen so far to be released this year. You can find our full list after the jump. 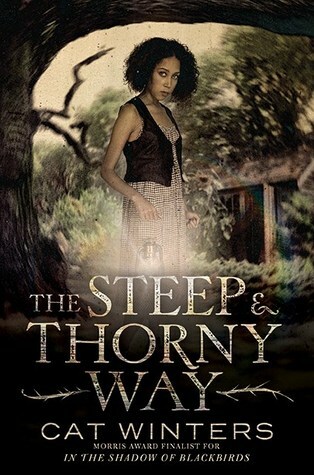 The Steep and Thorny Way by Cat Winters, expected publication March 8, 2016. Winters is also expected to have an adult novel published in the fall called Yesternight, expected publication October 2016. It’s shaping up to be her year. TSATW is a retelling of Hamlet, taking place in 1920’s Oregon with a female protagonist named Hanalee Denney. Salt to the Sea by Ruta Sepetys, expected publication February 2, 2016. On the heels of her transformative coming-of-age in 1950’s New Orleans, Out of the Easy, we have very high hopes for this story of escape and survival onboard the Wilhelm Gustloff towards the end of World War II. 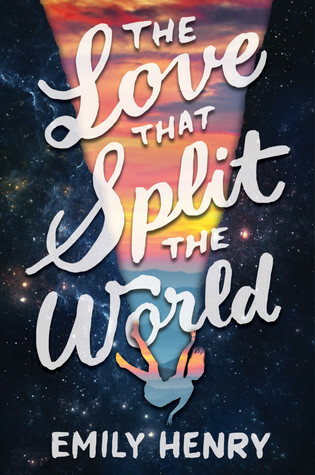 The Love that Split the World by Emily Henry, expected publication January 26, 2016. 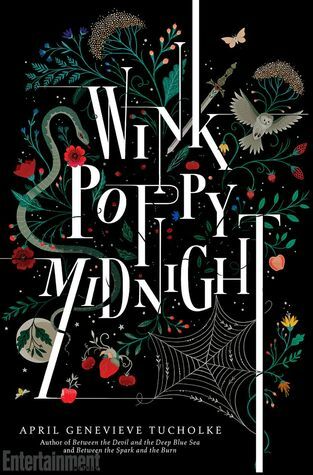 This books sounds like magical realism mixed with romantic time travel: Natalie Cleary must risk her future and leap blindly into a vast unknown for the chance to build a new world with the boy she loves. We’re hooked by the description alone. 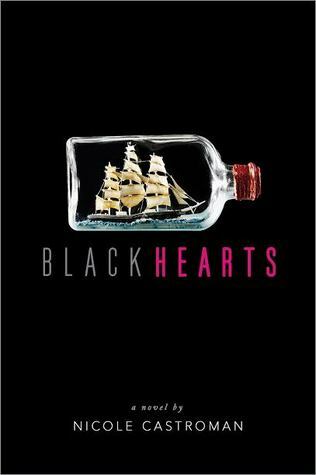 Blackhearts by Nicole Castroman, expected publication February 9, 2016. This novel promises a sweeping romance set against the backstory of one of the most notorious pirates to ever have lived, Blackbeard. Blocked by society’s rules and their own particular circumstances, will Drummond and Anne make it? 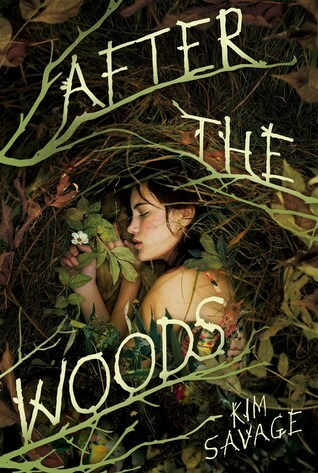 After the Woods by Kim Savage, expected publication February 23, 2016. A psychological thriller with two main female protagonists, Julia and Liv. Julia risks her life to save Liv from her kidnapper. Liv escapes and is so loathsome and self-interested, that early reviewers are cringing at her character en mass. 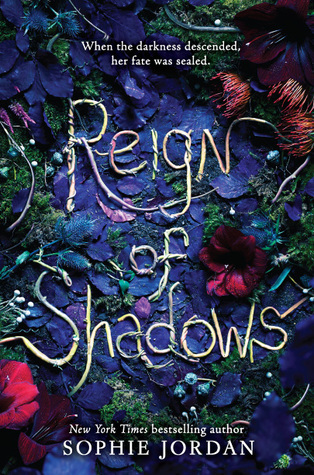 Reign of Shadows by Sophie Jordan, expected publication February 9, 2016. The first thing I’m going to say is that this book is the first of a new 2016 trilogy and belongs in this post,. Since it’s already posted, it shall remain here. The second thing that I’m going to tell you is that this book sounds positively AMAZING: a Rapunzel retelling complete with star-crossed romance. 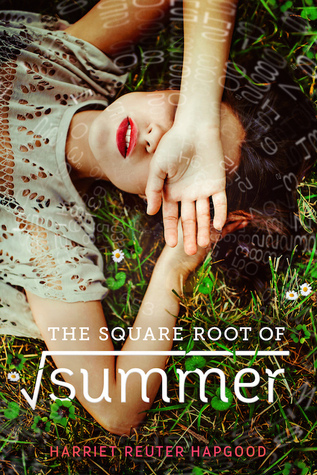 The Square Root of Summer by Harriet Reuter Hapgood, expected publication May 3, 2016. A time-travel romance, packed with quantum physics and heart-stopping kisses, this will be the PERFECT summer read. You can read an excerpt now over at Fierce Reads. 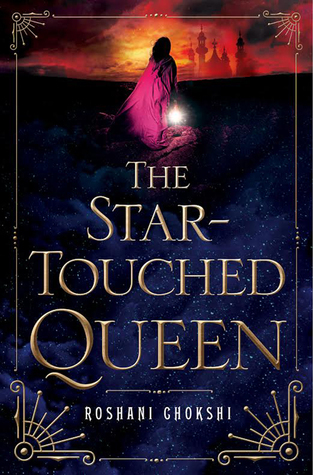 The Star-Touched Queen by Roshani Chokshi, expected publication May 3, 2016. This vividly imagined fantasy inspired by Indian mythology follows 16-year old Maya who is cursed with a horoscope that promises a marriage of Death and Destruction. Roshani Chokshi is giving make-up tips for Nagini princesses on her blog, as well as giving you snippets about the book. 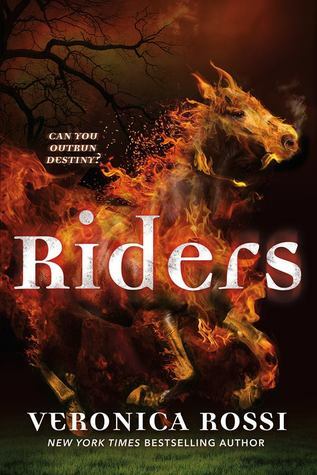 Riders by Veronica Rossi, expected publication date February 16, 2016. This book is almost to fantastical to describe. A boy will stop at nothing to become an Army Ranger, dies, becomes one of the four horsemen of the apocalypse, fails to save humanity from an ancient evil and is incarcerated by the officials regarding the apocalypse incident. Can he save humanity in time? 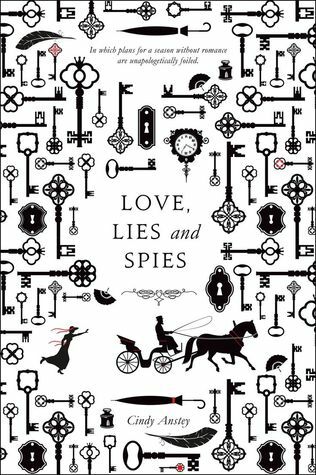 Love, Lies, & Spies by Cindy Anstey, expected publication date April 19, 2016. A nineteenth century YA love story. I think I’m in love already. 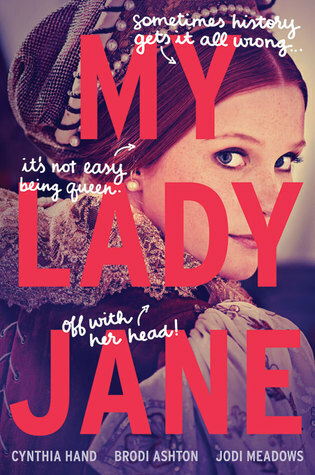 Julianna is a headstrong daughter of a scientist sent to London for a season. She meets Spencer, who isn’t quite the man of leisure he appears to be. Together, they forge an alliance to pretend to fall for one another. All is well until Spencer, a spy, must spy on Julianna and her traveling companion. This has all the makings of a Shakespearean comedy. 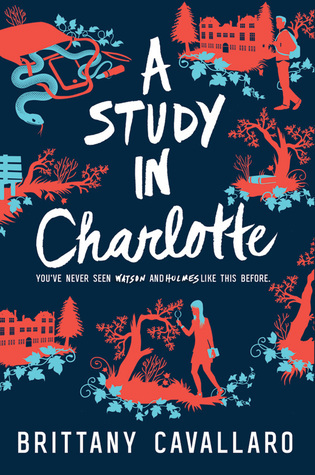 A Study In Charlotte by Brittany Cavallaro, expected publication March 1, 2016. Well, it’s happened again. 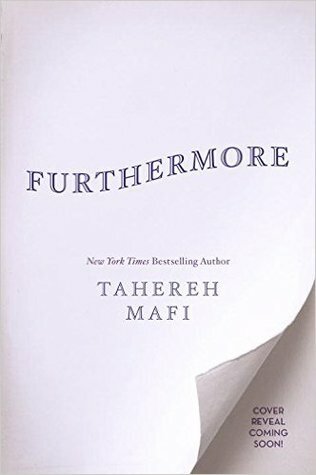 ANOTHER first book in a new 2016 series. Alright, we have Sherlock Holme’s great- great- granddaughter teaming up with John Watson’s great- great grandson. A murder occurs and hi-jinx ensues. Who wouldn’t want to read this? 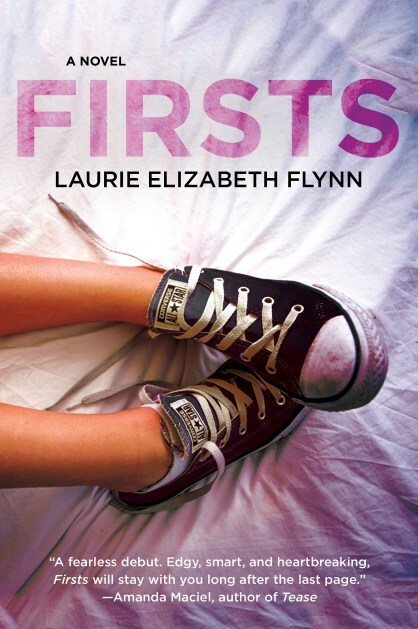 Firsts by Laurie Elizabeth Flynn, expected publication January 5, 2016. Mercedes is a girl with a certain set of ‘skills’ she’ll teach virgin boys for a price: they must give their girlfriends a perfect first time in return. Things get complicated when her best friend’s boyfriend wants a turn and then she meets a boy who likes her for who she is. 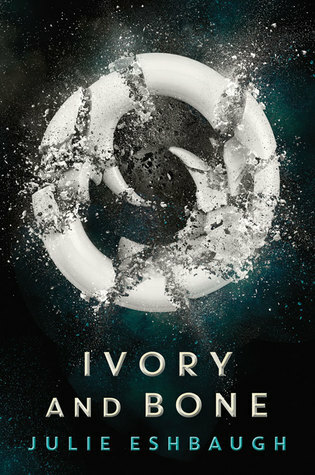 Ivory and Bone by Julie Eshbaugh, expected publication date June 14, 2016. This is a book of clans, new love, loss, and warfare. Kol must know who to trust between traveling clans and what side he’s fighting on. “There are only three things that matter to twelve-year-old Alice Alexis Queensmeadow: Mother, who wouldn’t miss her; magic and color, which seem to elude her; and Father, who always loved her. The day Father disappears from Ferenwood he takes nothing but a ruler with him. But it’s been almost three years since then, and Alice is determined to find him. She loves her father even more than she loves adventure, and she’s about to embark on one to find the other. “Catherine may be one of the most desired girls in Wonderland, and a favorite of the yet-unmarried King of Hearts, but her interests lie elsewhere. A talented baker, all she wants is to open a shop with her best friend and supply the Kingdom of Hearts with delectable pastries and confections. But according to her mother, such a goal is unthinkable for the young woman who could be the next Queen. 2016 is shaping up to be a year of intense reading. I’m going to have to make more hours in the day for just these novels, let alone all the others that I haven’t seen published yet. I’m so excited and am looking forward to taking this trip with you all! Cheers and happy reading! All these books look amazing! I’m so excited to read these. Happy reading! Thank you! It’s going to be a great year in YA! SO EXCITED FOR THE NEW CAT WINTERS. She’s so talented and this looks amazing. 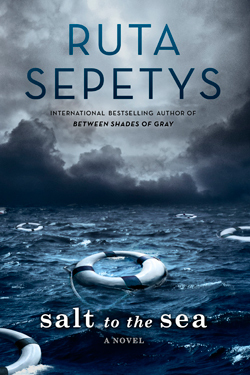 I haven’t read any Ruth Sepetys yet, but I think I want to bigne all her books this year if I can find the time. 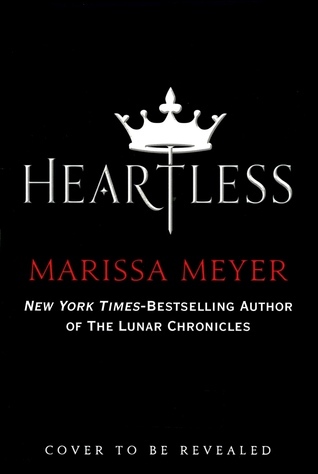 Oooooooh I didn’t know Blackhearts and The Star -Touched Queen were standalones. That makes me even more excited. NEW. APRIL. TUCHOLKE. SO READY FOR THIS. She’s one of my absolute favorites. Riders is actually a duology but it’s super intresting. I enjoyed it. Also SO EXCITED FOR THE REST OF THESE. This is going to be such a GOOD book year. I may or may not have been drinking while putting together this list. I can’t believe Riders is a duology!! Would you yell at me if I told you I’ve never ready anything by April Tucholke? What should I start with? I definitely plan on being “book poor” this year. Cheers and happy reading! I have definitely been drinking while writing a post or two so no worries. OH YOU GET TO READ HER FOR THE FIRST TIME I AM SO JEALOUS. Definitely start with Between the Devil and the Deep Blue Sea. It’s gorgeous and haunting and so beautifully written. OK. It’s going on (the very long list) straight away! Cheers!